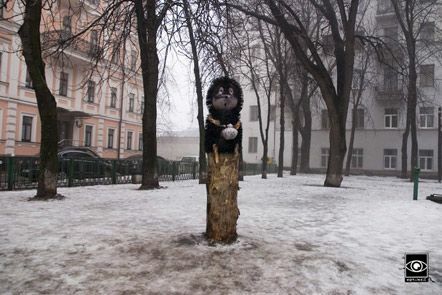 A monument to the main hero of legendary cartoon “Hedgehog in Fog” has appeared in center of Kyiv, at a crossroads of Zolotovoritska, Reytarska, and Heorhiyivska streets. 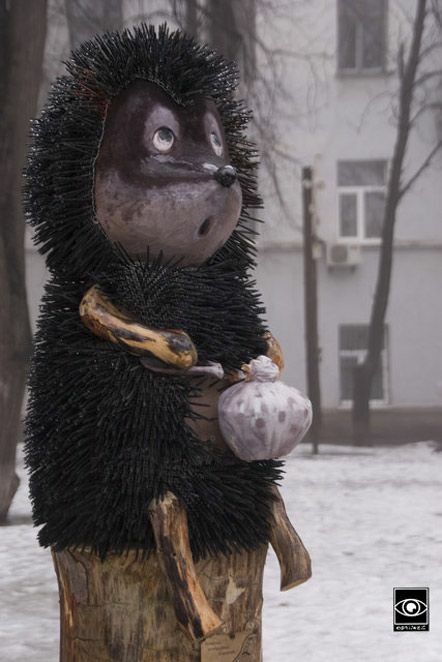 The monument is made of wood and represents a hedgehog sitting with a sack on a high stump. The author of the sculpture is the Kyiv Landscape Initiative. “Hedgehog in Fog” cartoon was produced in 1975 by Yuri Norstein (director), Francheska Yarbuzova (production designer), Serhy Kozlov (script writer). In the year 2003, basing on results of a survey of 140 cinema critics and animators from different countries, “Hedgehog in Fog” was declared the best cartoon in the history of animation.